AAHKS believes in the importance of engaging young, future leaders to assure they remain involved throughout their careers. With the changing health care environment, orthopedic surgeons are facing new challenges in delivering quality care for our patients. The AAHKS Health Policy Fellowship has been a great opportunity for me to take part in these exciting discussions. 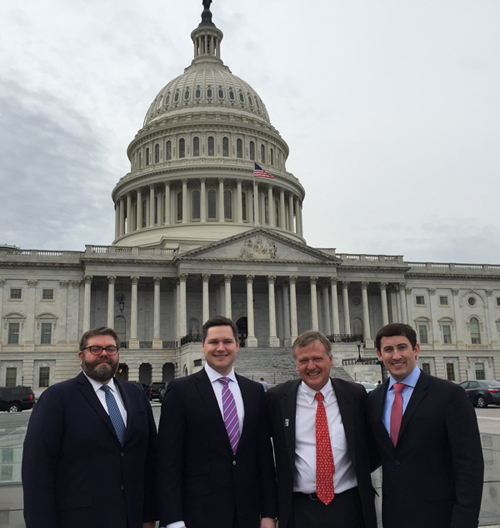 Whether it be engaging policymakers and congressional leaders at the NOLC, learning about health policy and advocacy, or networking and receiving mentorship from senior arthroplasty surgeons, the AAHKS HPF has been one of the highlights of my training. The AAHKS Health Policy Fellowship is a great opportunity to learn about health policy and get engaged in the process of advocacy for the interests of hip and knee patients and surgeons. I’ve found my experience to be a very productive and rewarding one so far. It has also provided a tremendous opportunity to interact with the AAHKS leadership early on in my career. Throughout the past decade, there have been many developments in the laws and regulations affecting patient care reimbursement for hip and knee surgery. The legislative and regulatory bodies dealing with this area have undergone significant changes. 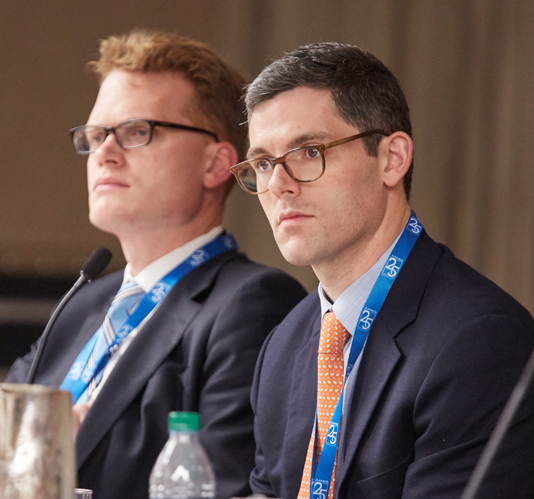 The American Association of Hip and Knee Surgeons (AAHKS) sees a pressing need to develop strategies in dealing with these changes, and to exercise influence over the law-making process. This involvement is necessary to maintain adequate compensation and reimbursement for services performed by hip and knee surgeons, as well as to insure the quality of services rendered. AAHKS believes in the importance of engaging young, future leaders to assure they remain involved throughout their careers. The Health Policy Fellowship (HPF) provides you with an opportunity to get involved in the policy-making process and to help you become an effective advocate. The goal of this program is to provide you with the requisite exposure, training and skills to advocate the health policy efforts of AAHKS. The Fellowship is a two-year program that provides exposure to the various legislative and regulatory bodies that impact our members’ ability to render healthcare services to their patients. This part-time model can be integrated into a full-time practice or training program. Attend the AAHKS Legislative Retreats, AAOS National Orthopaedic Leadership Conference, AAHKS Board of Directors Meetings at AAHKS and AAOS Annual Meetings, and various Council/Committee meetings of the AAOS, AMA, BOS and AAHKS, as apropriate. Participate in the AAHKS Advocacy Committee Conference Calls and attend other forums as deemed significant to the Mission of AAHKS. Develop a topic for a presentation or publishable paper to be presented at the AAHKS Annual Meeting in the second year of the Fellowship. Practice close communication with the designated mentor or chair of the Fellowship program. The HPF is open to orthopaedic surgeons in the United States now entering or currently participating in a Joint/Adult Reconstruction Fellowship, or who have completed this fellowship and are within the first four years of their clinical practice of orthopaedic surgery. Prior experience in areas of Health Policy or Health Care Economics is advantageous but not required. Applicants should be eligible as Candidate or Fellow members in AAHKS and United States citizens. AAHKS leadership has made an integral commitment to Health Policy Fellows that they will work closely with senior volunteer mentors who can provide technical expertise related to daily activities, assist in accessing AAHKS resources, and help identify the collaborative opportunities within AAHKS. The program encourages co-authorship of papers and articles with mentors as appropriate. Personal statement: In 500 words or less, tell us why you want to be a Fellow. Tell us what your health policy interests and strengths are and why you have interest and strength in these areas. Actively practicing applicants should include two letters of support from AAHKS Fellow Members who have in-depth knowledge of the applicant’s practice and advocacy interest.